I’m not a big Facebook fan but I do check in with a few old friends who live far away. 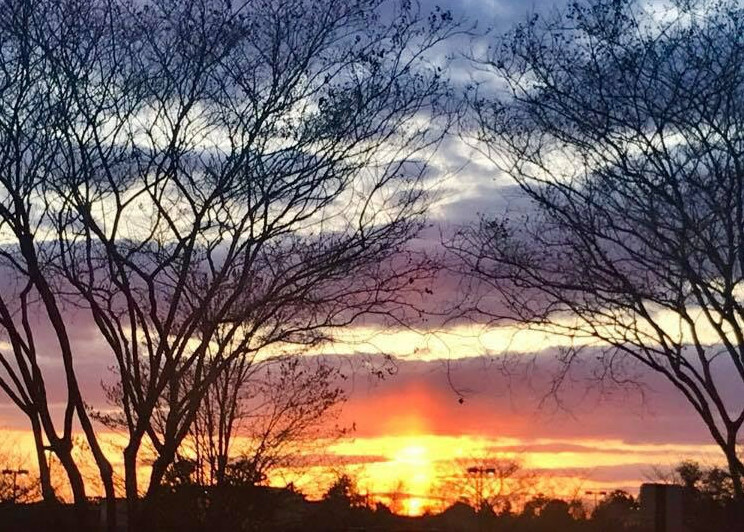 About a month ago, a chlldhood friend posted an incredible photo of a sunset in Virginia. 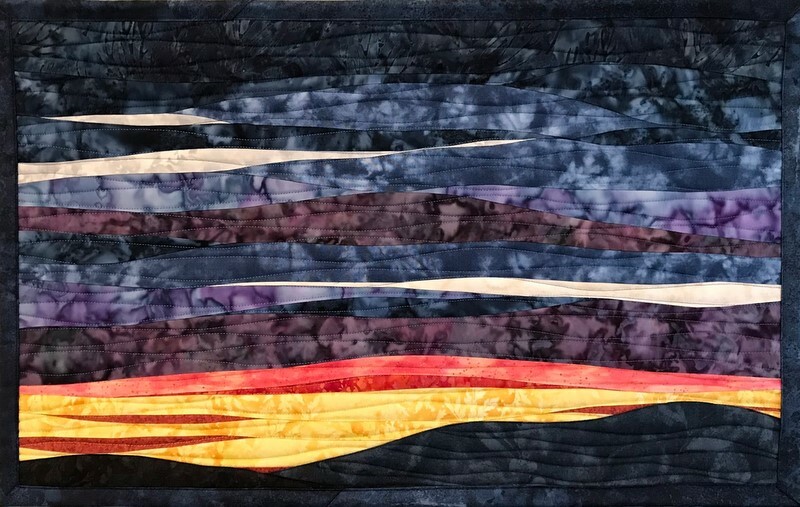 I commented on her post….”I see an art quilt!” This past week I finished Sunset 55, inspired by her photo. some mottled fabrics that give the illusion of a partially cloudy sky with light peeking out in both strips of brightness and in just splotches of lightness which the fabric selected did for me. 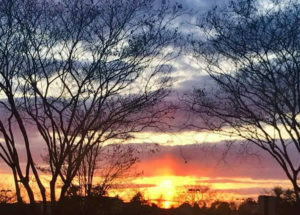 If you have a favorite sunset or sunrise photo you would like to have made into an art quilt, please email me (sharonkoppel1@gmail.com) and we can talk about your idea. An art quilt inspired by a photo will have a likeness but mostly I will try to capture the essence of the photo and not the detailed specifics. 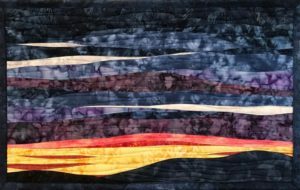 All of my designs are abstract so my interpretation of your sunset will also be abstract.